Aishwarya Rai Bachchan is one the most sought Indian Bollywood actress walking Cannes red carpet from last 17 years. 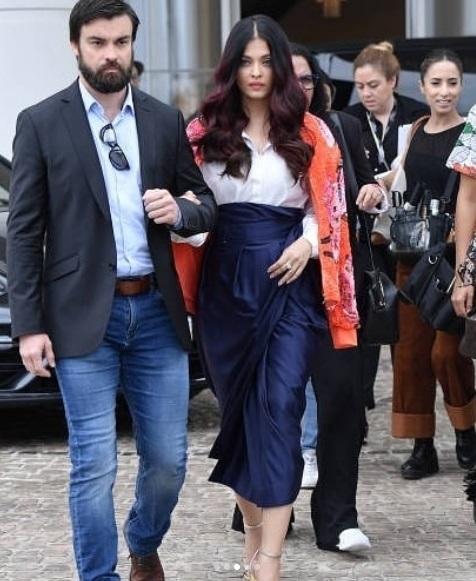 After turning heads on the red carpet in a dramatic purple and black butterfly gown, Aishwarya Rai is glittering in a Rami Kadi couture for her second day red carpet appearance at the ongoing Cannes Film Festival. Aishwarya chose to glide down the red carpet for the second time in a mint gown with an embroidered pleated overskirt. The ‘Fanne Khan’ actress donned a bespoke Rami Kadi gown inspired from his spring/summer 2018 collection. The gown’s back and overskirt were adorned with intricate embroidery and embellishments. The front was all starry owing to more than 20000 encrusted Swarovski stones. However, it was not the party-in-the-front gown that gave Aish an edge! 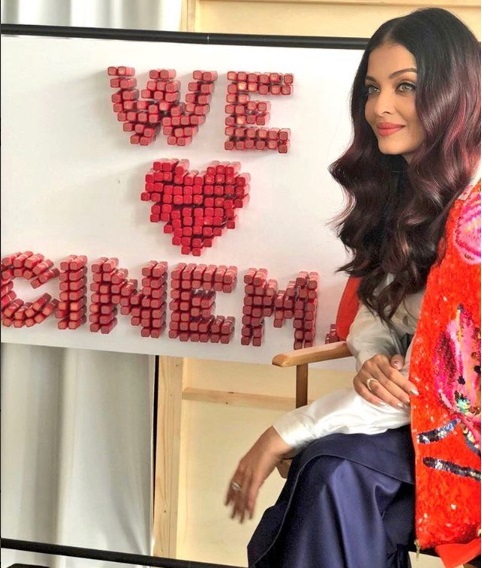 Aishwarya chose to maintain an edgy updo which was quite different from her preferred straight or billowy hair that was the talk of the evening. Her stylish Aastha Sharma went innovative with Aishwarya’s hair giving it a twist to her super high topknot bun. The actress’ rings and earrings from French brand Boucheron complemented her outfit. Aishwarya’s dotting daughter Aaradhya too flaunted in a same shade of dress. The mother-daughter posed together before Aishwarya took to the red carpet. Of course , it was also an occasion of mother’s day. In an event before her red-carpet appearance, Aishwarya kept her outfit simple with an added splash of colour. The actress donned a button down white shirt over a black wrap-around skirt combo. 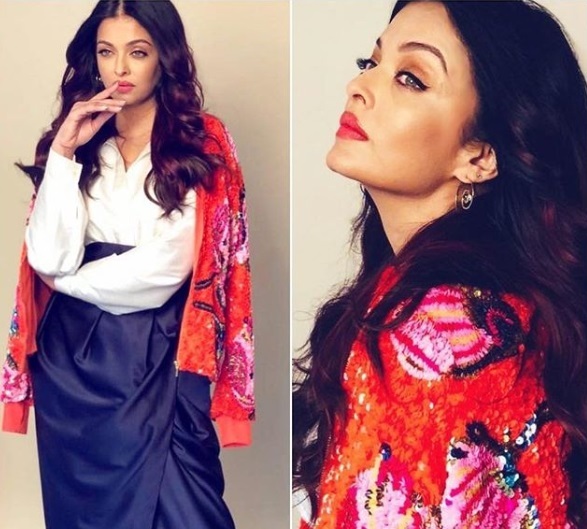 For that little splash of colour Aish sported an orange-pink overall sequined Manish Arora jacket. The bright glittery jacket was draped in such a manner that it gave an impression of being a cape! 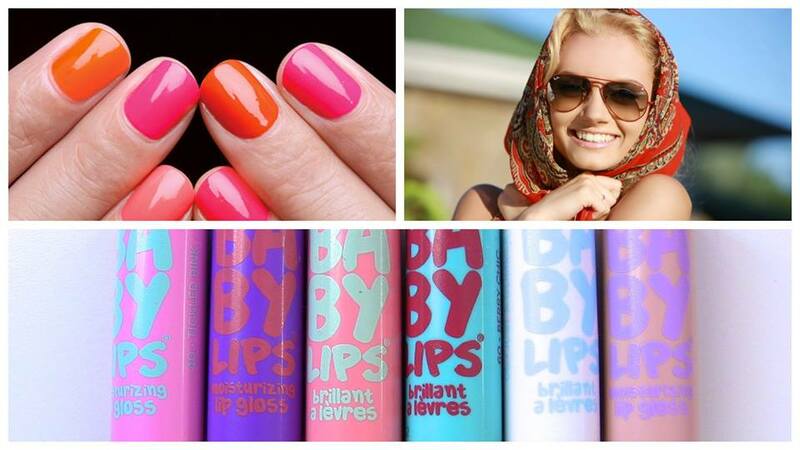 Quite a great idea for jazzing up that otherwise boring office outfit, right? Beautiful, isn’t she? 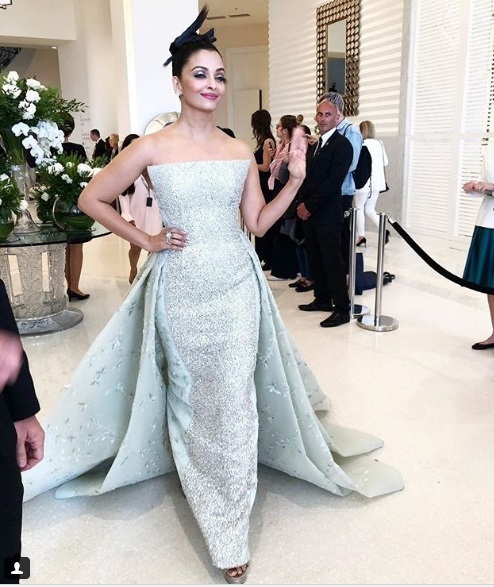 No wonder why they say that Aishwarya Rai Bachchan is the reigning Queen of Cannes’ red carpet!